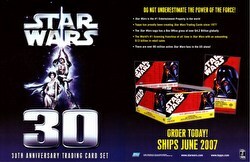 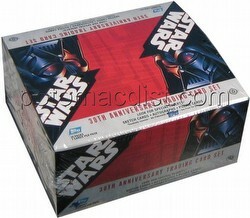 The Star Wars 30th Anniversary set includes 120 base set cards. 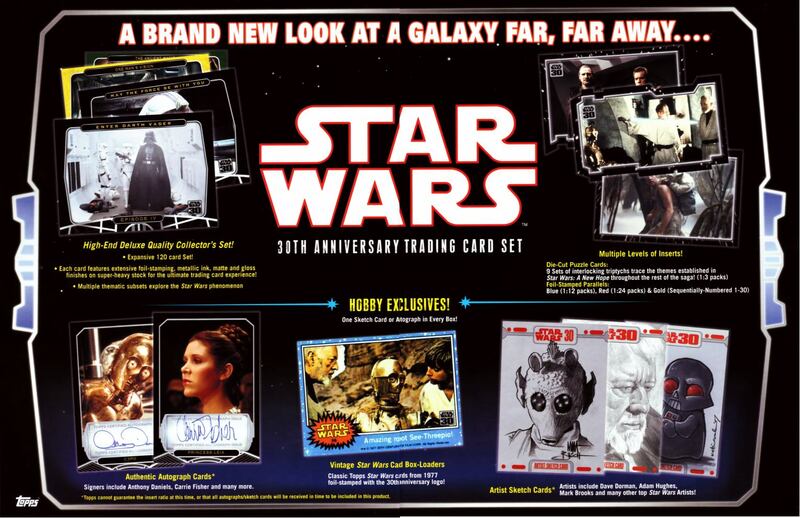 Inserts include Autograph Cards from Anthony Daniels (C-3P0), Carrie Fisher (Princess Leia), Christine Hewett (Brea Tonnika), David Prowse (Darth Vader), Garick Hagon (Red Three/Biggs), Kenny Baker (R2-D2), Maria De Aragon (Greedo), Paul Blake (Greedo), Peter Mayhew (Chewbacca), Richard LaParmentier (General Motti), and more! 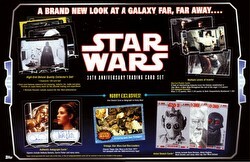 Sketch cards will be included from many top Star Wars artists including Dave Dorman, Cat Staggs, Adam Hughes, Mark Brooks, and many others. 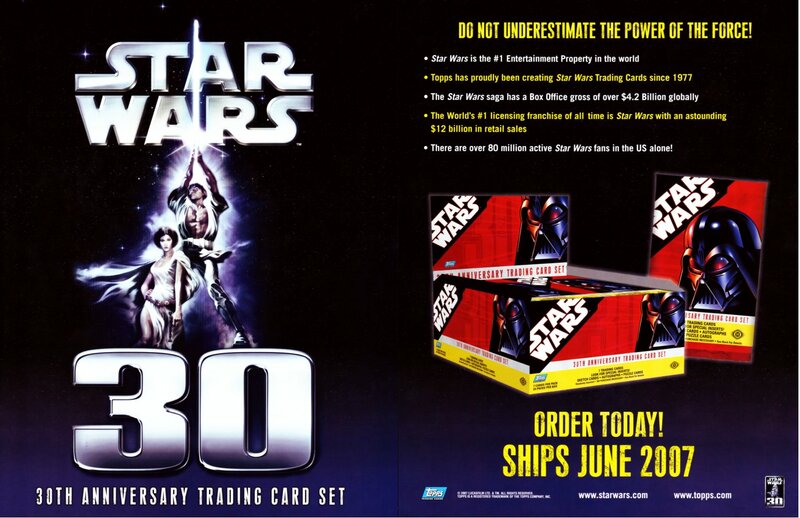 Vintage box loader cards will feature cards from 1977 foil-stamped with the 30th Anniversary logo. Other inserts include die-cut puzzle cards, as well as blue, red, and gold parallel cards.